Challenges the United States faces in space “are on a par with cyber,” the chairman of a key U.S. House panel said as witnesses described China’s advances in an area where “some vulnerabilities we just can’t escape”—acknowledging the two nations are now engaged in a “long-time competition” that cannot be firewalled from other domains. A second factor is that “China is not as dependent on space as the U.S.”— either militarily or commercially—said Ashley Tellis, senior associate at the Carnegie Endowment for International Peace. Ever since China’s tests in 2007 highlighted the debris problem in space—destroying a satellite but endangering its own orbiting assets—China has been moving away from direct hits toward an asymmetric approach of “soft kills” or “vision kills,” Tellis said. Butterworth added that when the Chinese approach space militarily, “they are looking at [it] with very different eyes” than the United States, or even the Soviet Union, in the Cold War. “China has made enormous investments in jamming,” Tellis said. All three agreed that the United States needs to develop better “space situational awareness” at a variety of altitudes to determine when an attack has occurred and identify the attacker. Butterworth said it was wrong to “assume space works” in a time of conflict, but that is the United States’ approach. 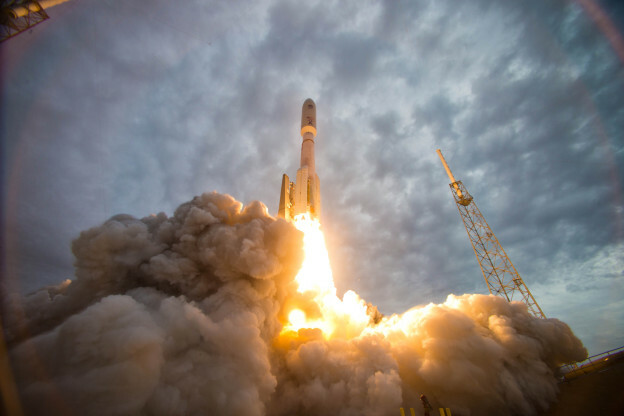 The United States’ network of command and control not only resides in protected satellites and systems but in “commercial satellites and military satellites that are unprotected” and therefore vulnerable. “There are issues with attribution” of the origin of an attack, Krepon said. Tellis added, “It’s when other systems are stressed [as in war] that we need attribution” but may not be able to acquire that quickly. But with such awareness, Krepon said, the nation “retains the capability to respond in ways of our choosing” and that is what gives the United States the edge it still retains over all competitors. As for the future, at a time when military space budgets remain targets for cuts, Butterworth said, “it’s just going to take a helluva lot of money” to invest in new capabilities and “we’re going to have to take it from design up” to keep the military and technological edge. He called for development of a “code of conduct” among nations to cover actions in space, given that a treaty is unlikely, and also for opening dialogue on space with the Chinese military and civilian officials, as was done during the Cold War. Chinese military and civilian officials are split over how to proceed, either militarily or diplomatically, he said.